I am always looking for new places to eat and stay! 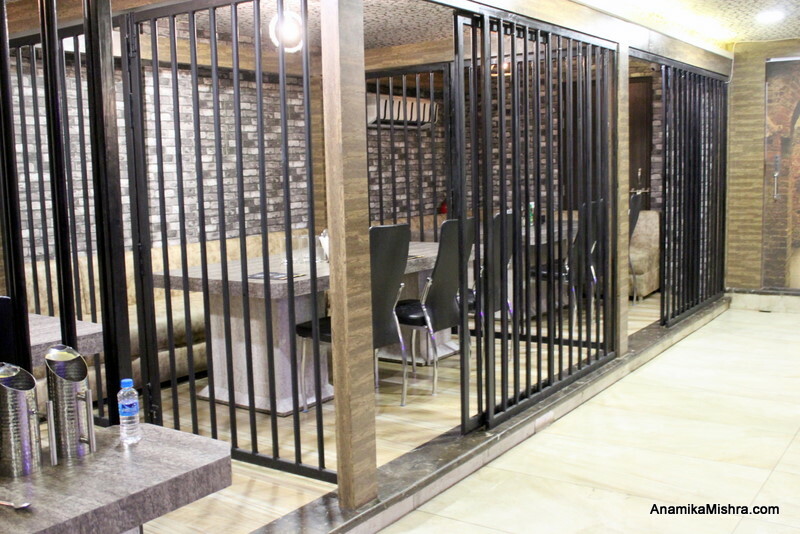 This time I discovered a newly opened Jail-themed restaurant in my own home city -Kanpur. 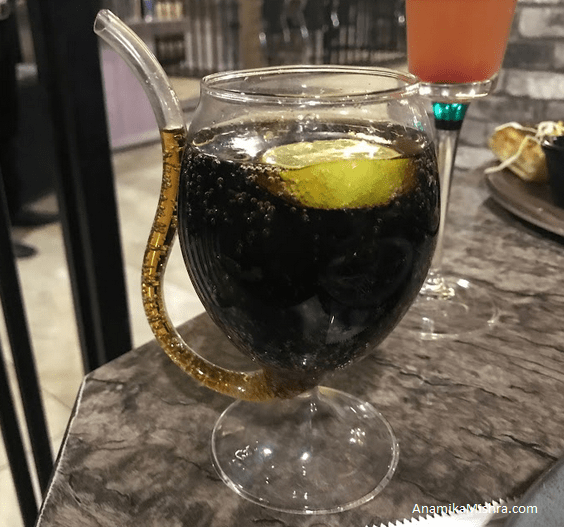 At first, I didn’t expect it to be big and spacious and have good food, because recently I visited a theme restaurant in Delhi and it was a huge disappointment; so I kept my expectation a little low. 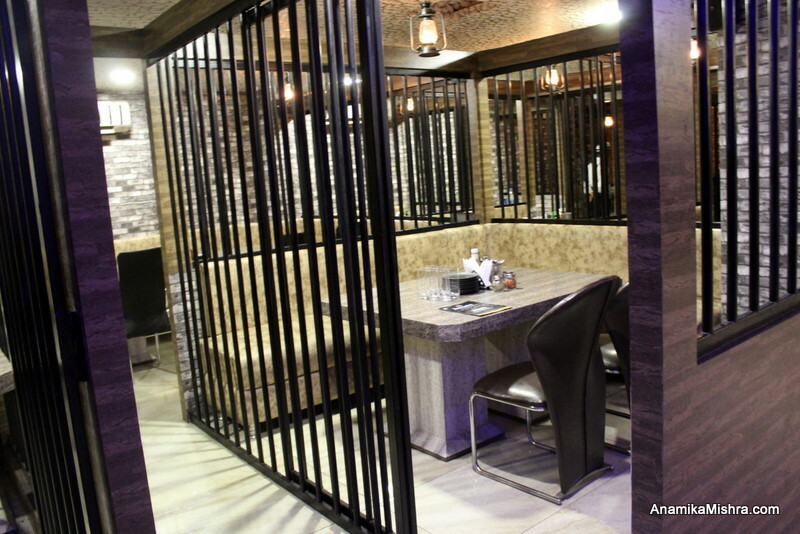 But when I entered this restaurant, here’s what I felt! 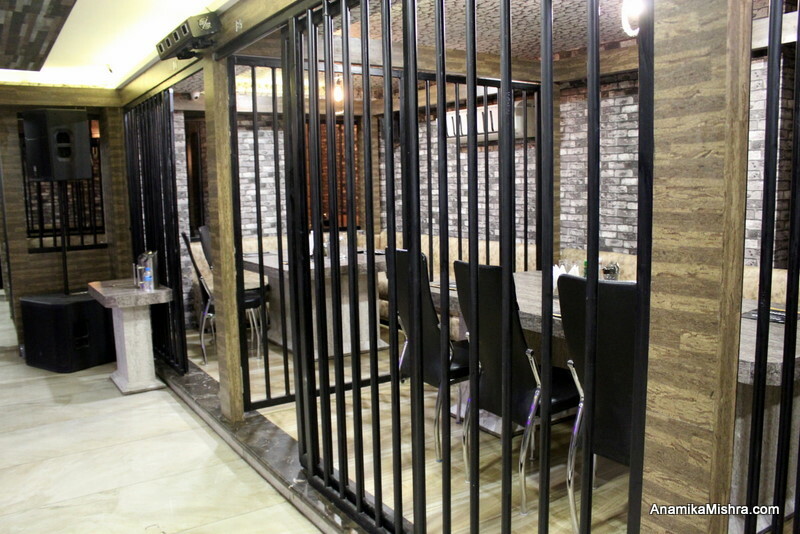 Before I share what I felt about the restaurant, I’d like to share some information about the same.This is jail-themed restaurant, one of it’s kind in the city which is situated in the heart of Kanpur, Swarup Nagar. 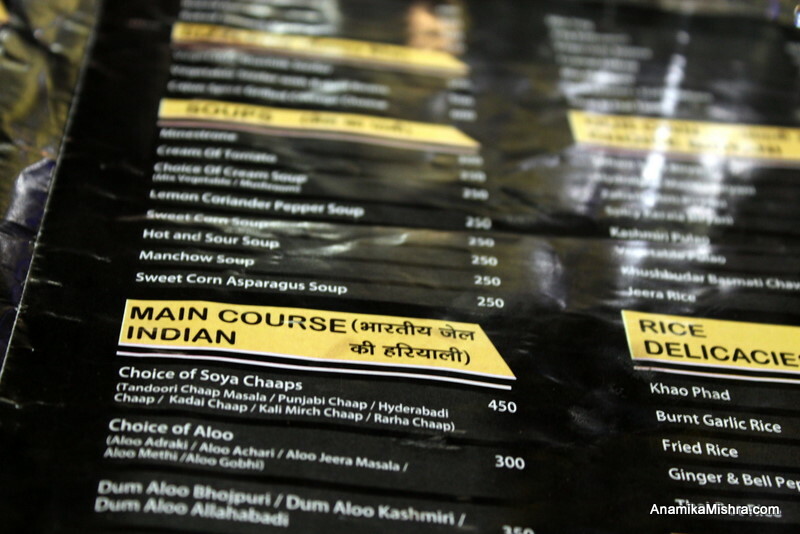 Also, this is India’s first vegetarian lounge (disc) and restaurant. 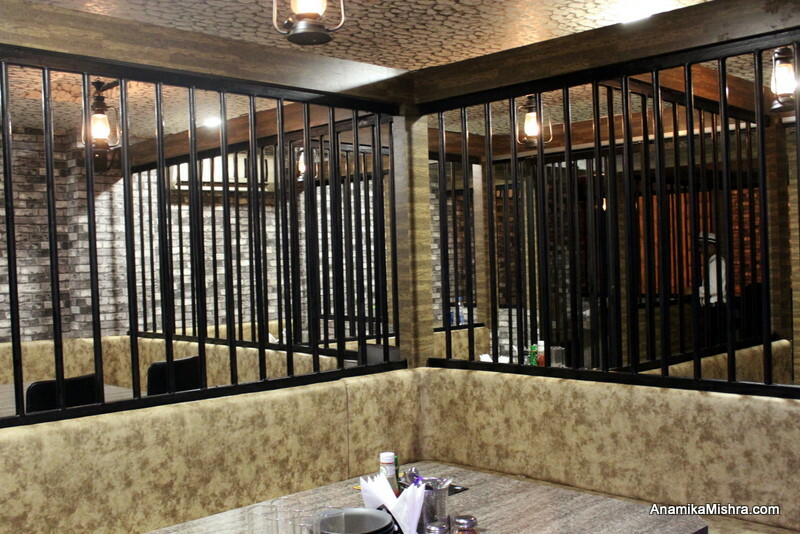 The space is huge which can accommodate up to 300 people at the restaurant area and up to 100 people in it’s lounge. They offer free Valet service too. 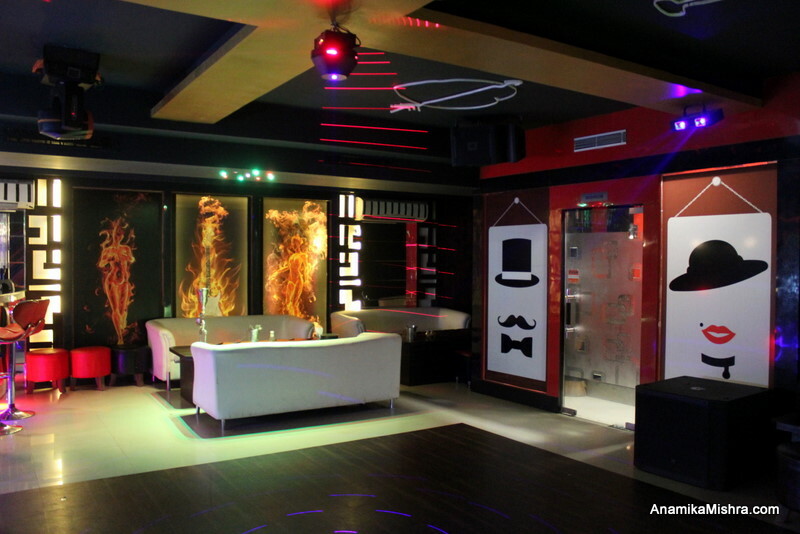 The ambience is soothing and suitable for all age-group. It wasn’t too dark as usually themed-restaurants are, and the music they played wasn’t loud too. As we sat in one of our barracks, we were given the Kara Fresh Wipes and were welcomed with Lemon Pulse, a refreshing lemon drink. Menu was really interesting. 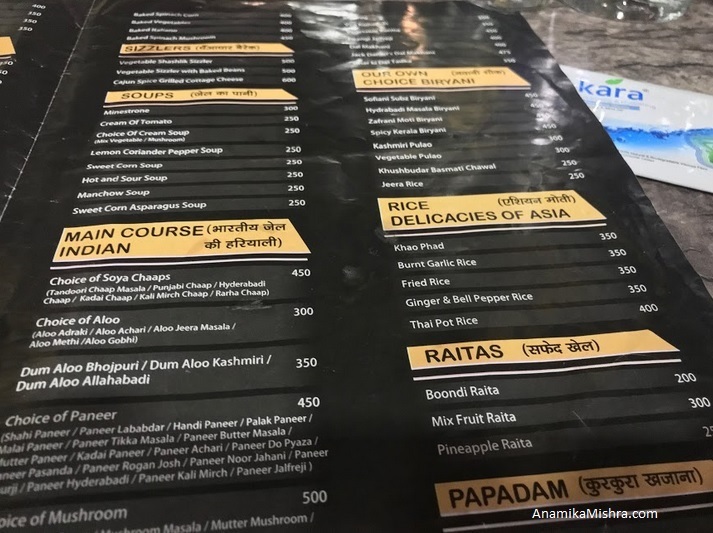 It had categories like Jail Ka Pani for drinks section, Italian Jail for Italian food, Videshi Jail Ki Hariyali for Main Course Continental and so on. 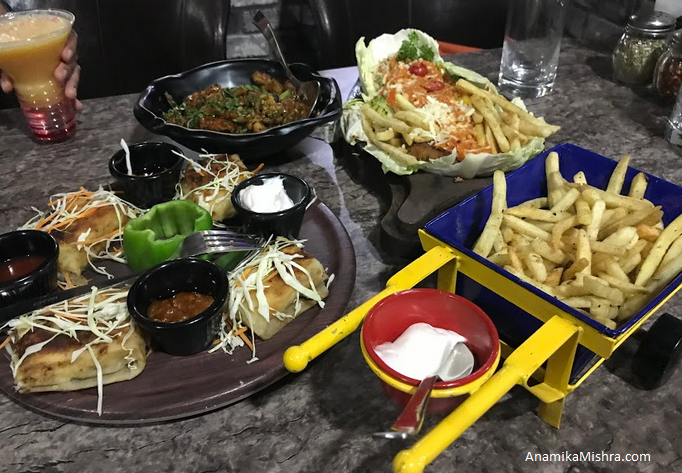 We ordered Continental Pasta Cheese Paratha, Vegetable Crispy, Vegetable Shashlik Sizzlers, Pasta Arrabiata and Plain-salted French fries. The food was really good. 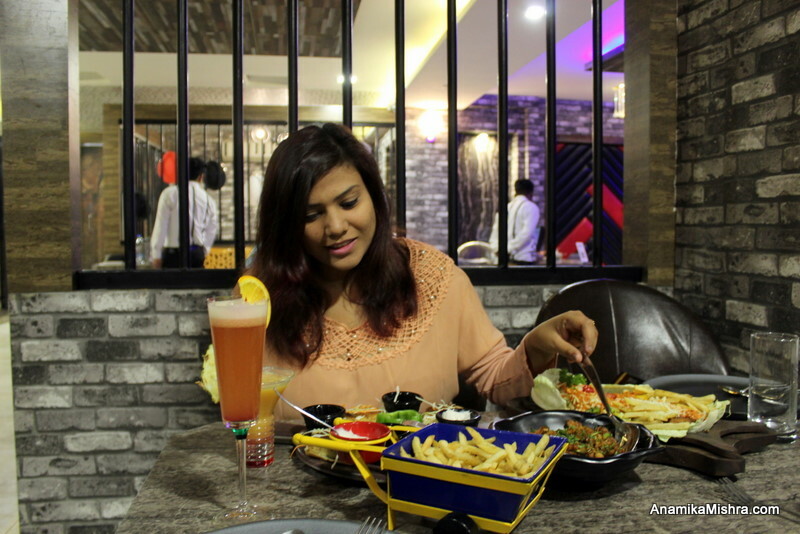 I’d surely suggest you to try Veg Shashlik Sizzlers, it was super yum. The barracks were of different sizes; there were barracks which can accommodate 4 people to barracks which can accommodate up to 16 people. They also take bookings for family functions and other parties. 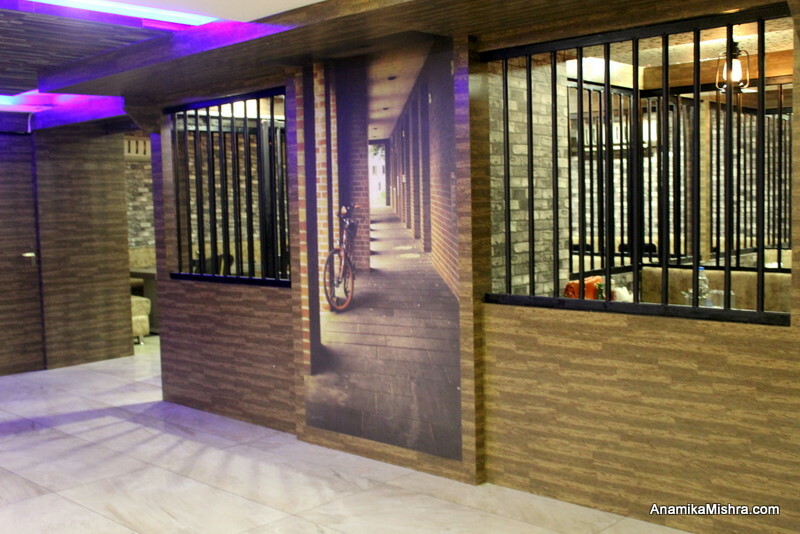 Right next to Barracks restaurant is the Barracks lounge. 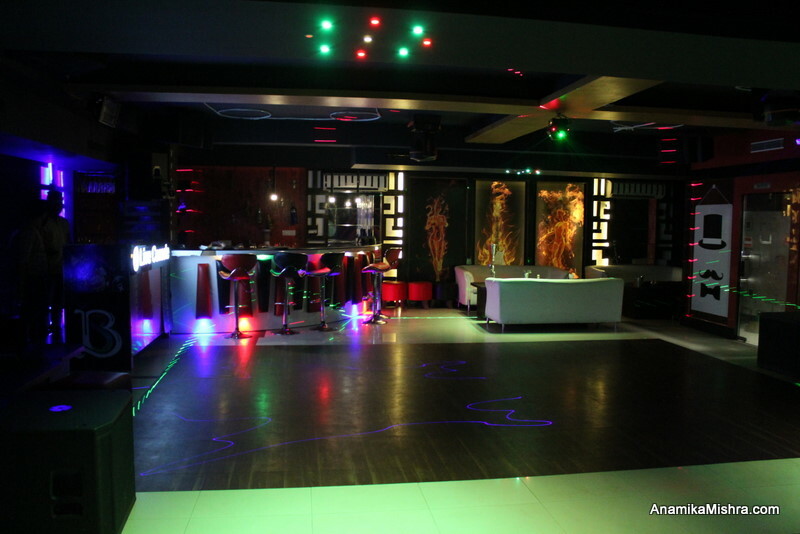 It is a good decent disc & lounge where they service alcohol and food. 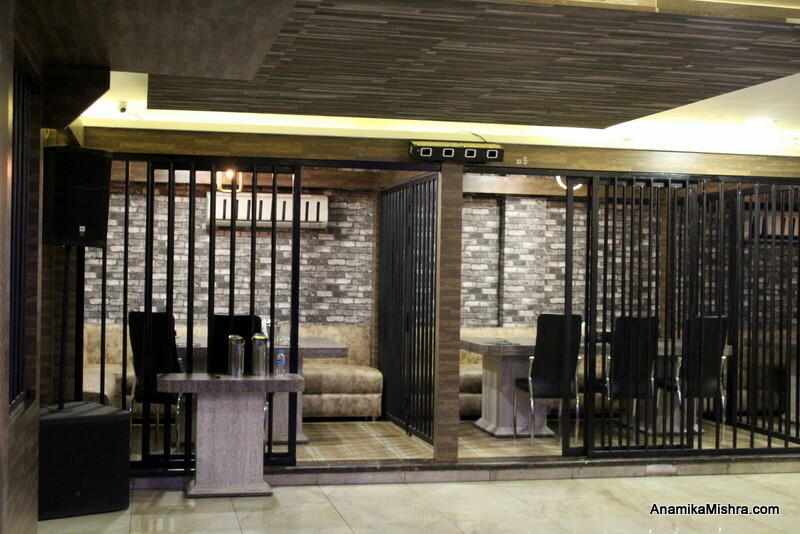 It is India’s first pure-veg lounge which makes it stand-out the crowd. 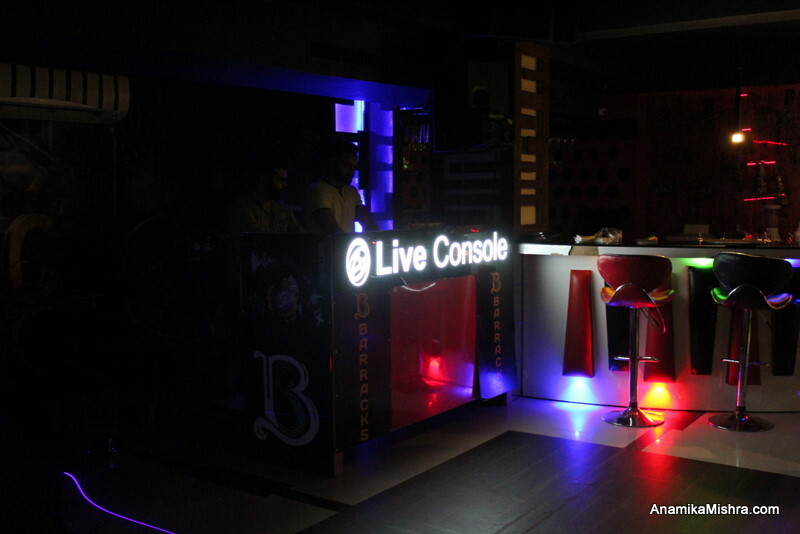 There is a live-console for music which is sure to set your mood to get on the dance floor. The service of Barracks is commendable. Our order was ready in just 15 minutes which is really fast. 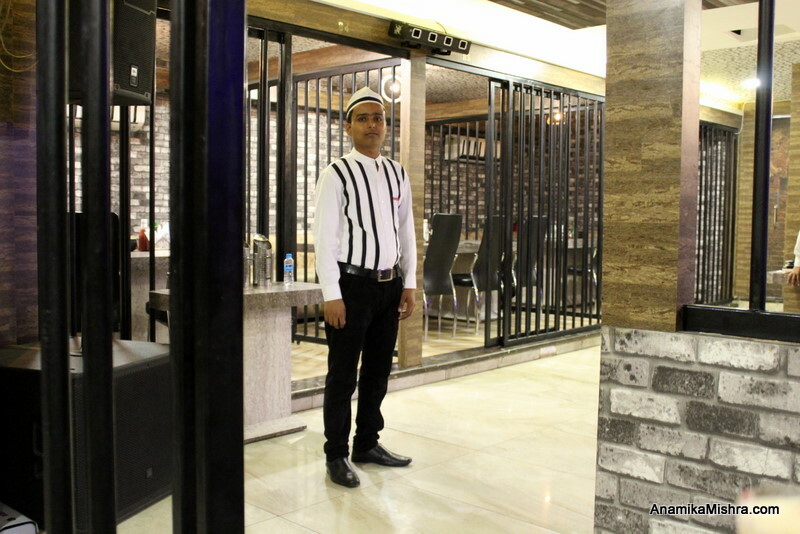 And oh, how I forget to mention that waiters were all dressed up like prisoners. It added an extra-point to the theme. 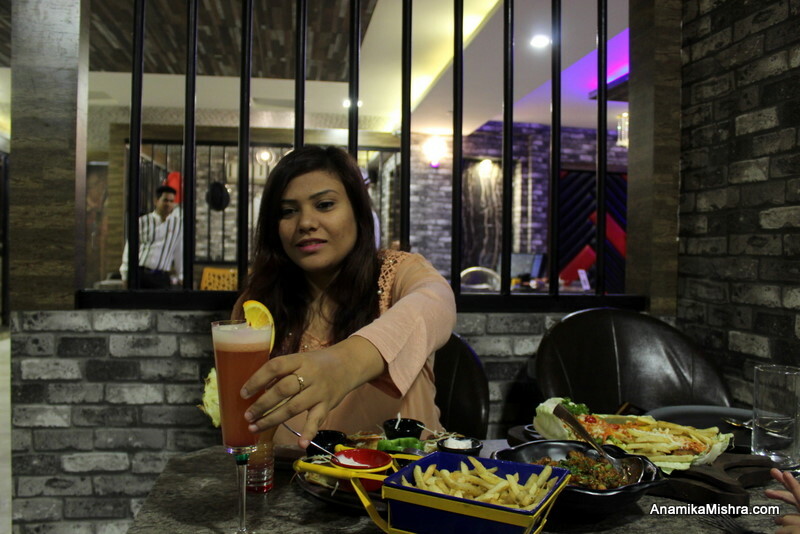 All in all, it’s a decent restaurant which is good to hang out with your family & friends. 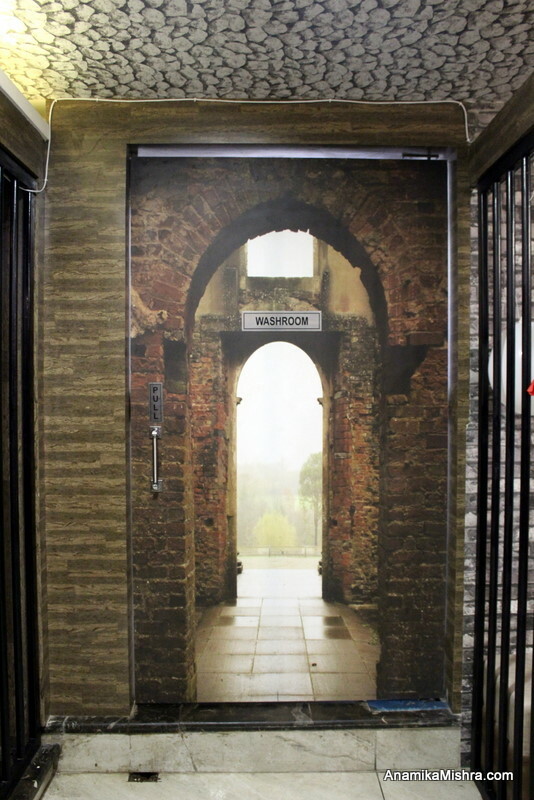 Barracks is fine-dine restaurant which doesn’t charge you bomb to soothe your taste-buds. Go for it! 5 on 5 from my side!